During the Thanksgiving weekend, a driver at the intersection of I-270 and Sawmill Road spotted a snowy owl laying along the side of the intersection, hurt but still alive. The owl was scooped up, wrapped in a towel, and rushed to the Ohio Wildlife Center Hospital not far from the scene of the accident. According to hospital staff, the owl is recovering from the trauma nicely. 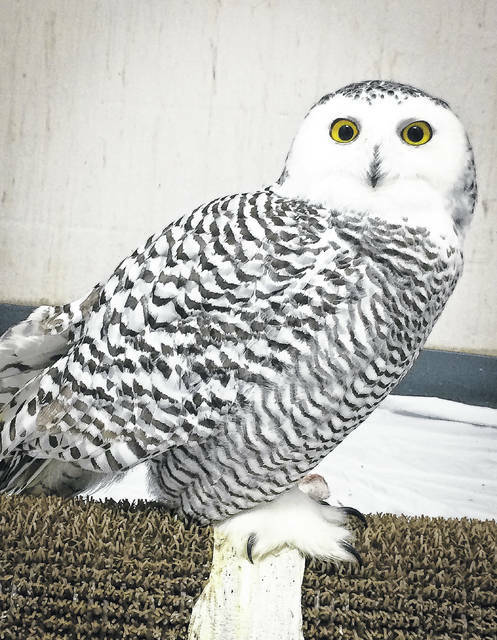 After suffering blunt trauma injuries due to a collision in traffic and being left for dead at the intersection of I-270 and Sawmill Road, a rarely seen snowy owl was scooped up by a passing driver and rushed to the Ohio Wildlife Center hospital. Logan Oates, the community engagement coordinator, said Thomas Gillotte and his mother, Tamie Hegnecy, were driving when they noticed the injured bird on the side of the highway ramp. They gently wrapped the owl in a towel and brought it to the hospital which was less than a mile from where it was found. He said when they arrived at the hospital Hegnecy told staff the bird was a snowy owl. According to center experts, sighting a snowy owl in Central Ohio is uncommon. The raptor typically spends summers hunting in the arctic regions of Alaska and Canada, favoring flat open spaces such as shorelines and fields. Often they perch on fences and utility poles, swooping down flying close to the ground to feed on waterfowl and small mammals. Philip said experts are predicting an irruption this year. She said Michigan is currently recording large numbers of owl sightings in the Upper Peninsula. In 2014, an irruption occurred with more than 150 of the owls being sighted across Ohio. According to the hospital’s statistics, the snowy owl is one of 5,200 animals that have been treated this year at the Ohio Wildlife Center and the first snowy owl treated in 15 to 20 years. Ohio Wildlife Center is dedicated to fostering awareness and appreciation of Ohio’s native wildlife through rehabilitation, education, and wildlife health studies. For information, go to www.ohiowildlifecenter.org. This entry was tagged Alaska, birds, birds of prey, Canada, nature, ohio, Ohio Wildlife Center, Powell, raptors, snow owl, wildlife. Bookmark the permalink.